Event! 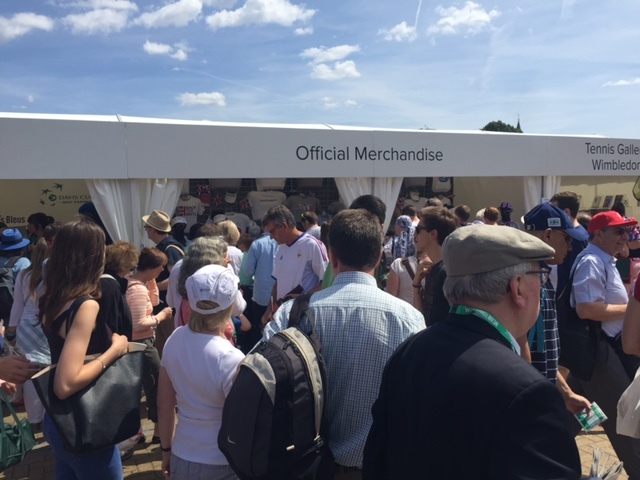 were proud to provide the official merchandise for the Davis Cup at Queen’s Club. 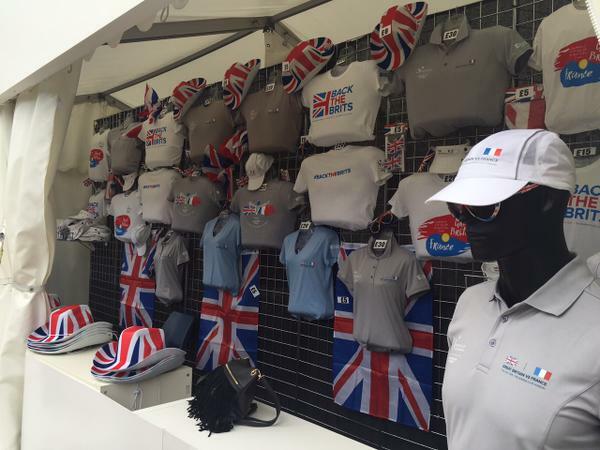 We created a beautiful shop showcasing a large product range for the home crowd to wear and show their support for TeamGB, in keeping with intimate surroundings of Queen’s Club. We believe it certainly helped as the crowd showed excellent support to help Andy Murray produce an emphatic battling performance over the 3 days to ensure qualification for TeamGB. Team GB – comprised of world No. 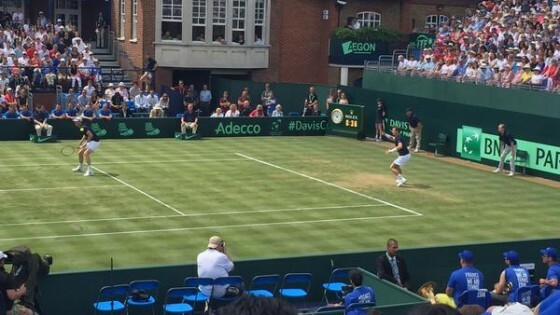 3 Andy Murray, his brother Jamie, James Ward and Dominic Ingleton – saw off a talented French team bristling with big names: Tsonga, Gasquet, Simon and Mahut. With a stellar display from the Murray Bros to win the doubles match on the Saturday, the final day Andy Murray v Gilles Simon was a must-win, as world No. 12 Tsonga would have too much for Jamie Ward. However, having been utilised for each of the three days, Murray was clearly tiring after exerting so much effort, losing the first set to the world No. 11. The crowd coming to our stand were fearing the worst – however the performance the followed was nothing short of sensational. Digging deep into reserve energy and displaying huge character, Murray won the incredibly tight second set. Momentum now with him and backed by a raucous crowed – he delivered the victory. 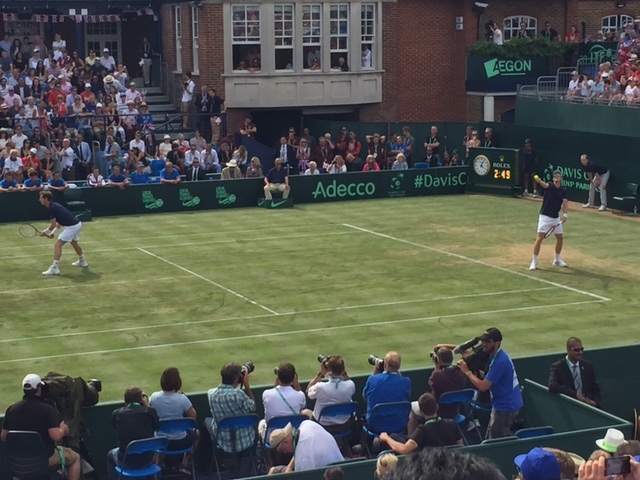 It was a fantastic event to be a part of – the atmosphere was fantastic throughout the 3 days and it was great to be at Queen’s for a historic win for TeamGB Tennis. The home crowd – donned in our It’s clear we are a bit too reliant on one man – however he delivered in emphatic fashion to guide GB one step closer to the Davis Cup final – a feat that hasn’t been achieved in 34 years!